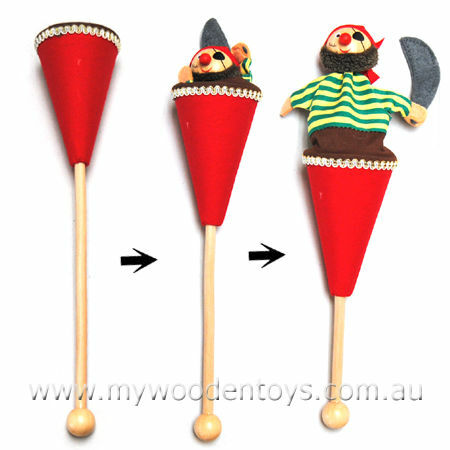 The little cloth pirate pops up out of the red cone when you push the wooden stick up. This pirate comes complete with eye patch, beard, cutlass and scar has wooden head and nose. Size: Popped up the length is 26cm, pirates head is 4cm ball. We like this because: "Great fun traditional toy."